Diabetes is a serious lifelong condition that may cause other major health problems if you do not keep your blood glucose under control. Whether you are a prediabetes candidate or already have diabetes, it is crucial to understand fully what supplies you need in order to monitor and control your blood glucose level, and alleviate various conditions that may exhibit along with the condition. Getting diagnosed with prediabetes is a serious wake-up call to your current health, but it doesn’t have to mean you will most definitely get diabetes. With close monitor to your blood glucose level and paying attention to lifestyle changes, you can slow down the progression to diabetes or even prevent diabetes. Physical activity is an essential part of the treatment plan for prediabetes because it lowers blood glucose levels and decreases body fat. Depending on your health insurance company policy, you may be qualified for an incentive for joining a gym or fitness program. If your insurance company does not offer an incentive, you can try asking about your working company policy and see if they have an incentive for their workers getting fit. At the same time, they may offer an incentive for going to a nutritionist and plan out a diet plan for your needs. 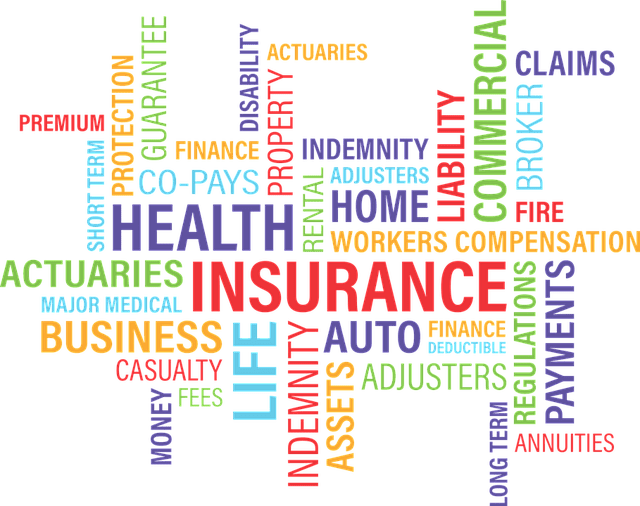 However, if both your insurance company and your working company both do not offer incentives, you can still claim these expenses as medical expenses on your tax as long as you have documentation of these treatments being recommended by your doctor. Sleep is crucial for prediabetes candidates. Without proper amount of sleep, your body cannot use insulin effectively and may increase your chance of developing type 2 diabetes. If you suffer from sleep apnea, do seek help from your doctor about getting nose cones or even a CPAP machine to help you get better rest at night. These equipment should be covered by the Medicare program or by your insurance company. Whether you have been diagnosed with Type 1 or Type 2 diabetes, you will need a list of equipment and supplies to monitor your blood glucose level. Blood glucose level self-testing equipment and supplies are covered for all diabetic patients with Medicare Part B who have diabetes even if they don’t use insulin. Just because you are diagnosed with Type 1 or Type 2 diabetes does not mean you are confined to your home. With some planning of your supplies and equipment, you can live an active lifestyle just like people without diabetes. 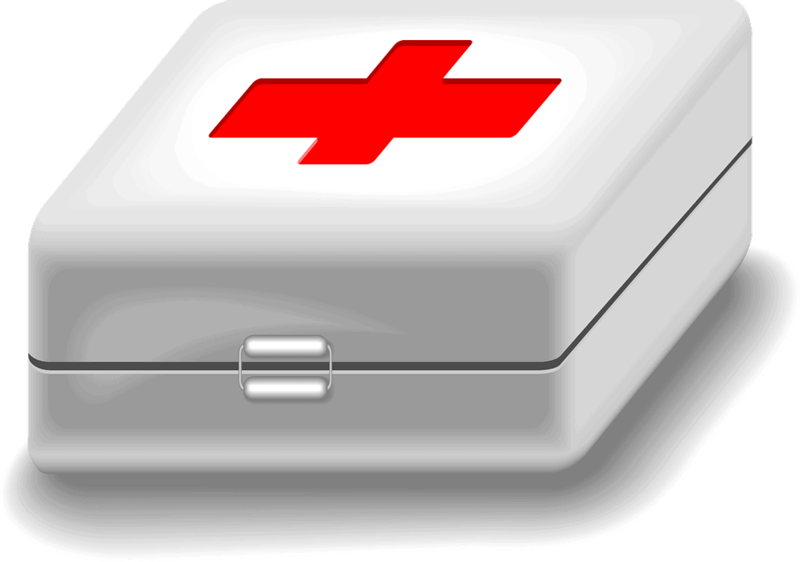 But to be fully prepared for cases of emergency, you should have a diabetes emergency kit with you at all times. For convenience purposes, you should have an extra kit in your car and at your workplace. Although it is not included in the emergency kit, you should always have a medical ID bracelet with you at all times. This way, in case of accidents, your helper and medical aides can quickly identify you as a diabetic patient and provide you with proper help. If you live in an area where emergency situations such as hurricanes, earthquakes, tornados, or blizzards are a constant concern, you should consider storing at least three days’ worth of diabetes supplies and an extra set of equipment. The ketone test strips are available at your pharmacy should your doctor recommends it to keep your ketone level in check. If you require an insulin pump due to various reasons, your doctor will prescribe it for you. You will be responsible for paying 20% of the Medicare-approved amount after your yearly Medicare Part B deductible. Please note that Medicare will also pay for the insulin that is used with the insulin pump. One pair of custom-molded shoes (including inserts) if you can’t wear depth-inlay shoes due to foot deformity, and 2 additional pairs of inserts. Please note that Medicare will only cover these two types of therapeutic shoes and inserts. General therapeutic shoes and inserts are not covered. For women who already have diabetes before they are pregnant or have developed gestational diabetes during pregnancy, it is crucial for you to carry a medical ID bracelet with you at all times. In case of premature birth, your doctors will take into account of your blood glucose fluctuation and provide you with a safer childbirth option to lower the risk for both you and the baby. At the same time, the medical team can better anticipate various symptoms your baby may exhibit after birth and provide better care for him or her. One of the common complications that diabetic pregnant women suffer from is swelling of the legs and feet. To counter that problem, your doctor may recommend medical compression sock for your needs. If you have a child who has diabetes, you don’t have to worry how you will have to be constantly by his side. Simply talk to the teacher and school nurse about your child’s condition. The school nurse will probably be very experienced with administering insulin shots to all the children at school already. He or she may even have a list of all the supplies you need to pack in a container and a schedule of how often you will need to replenish the container. If not, do not worry. The same emergency supply list for diabetes patients applies for children. To make the job easier for the school nurse, have a picture of your child glued onto the lid of the container. Aside from the school kit, your child should always carry another kit in their school bag. 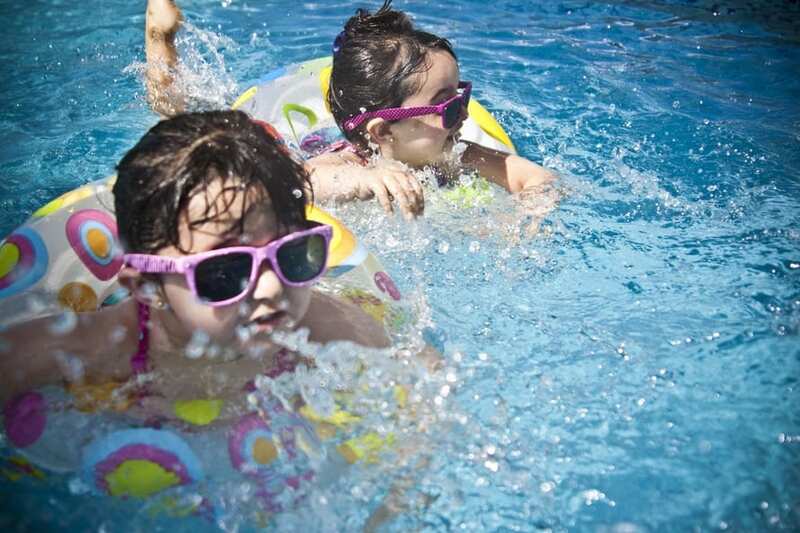 But as we all know how children are a bit less careful with things, so you have to make sure to pack all the supplies in a waterproof and durable bag or container. And if you child attends certain sports team, make sure to have a duplicate kit for the coach’s keeping and teach him or her how to administer insulin to your child should the occasion arise. Being visually impaired does not mean you have to rely on others to monitor your blood glucose level and administer your insulin injections. With the advancement in technology, various pharmaceutical companies understand the needs of visually impaired diabetic patients, and have developed blood glucose monitors that can either talk or be attached to your existing voice synthesizers. The two most recommended brands are LifeScan and Roche Accu-Chek. These monitors come with easy-to-follow audio instructions. As for insulin injection equipment, even though insulin pens are sold with the warning: “Not for use by blind individuals without sighted aid,” there are many hospital and community seminars that specifically train visually impaired individuals to self-administer insulin injections with insulin pen. If you have very limited financial support and medical coverage, these devices are much affordable than the previous equipment mentioned. If you have a need for these specific equipment, please consult with your doctor so that they can specifically recommend these equipment and include them as necessities under your insurance and Medicare coverage. With the help of Obamacare, all American citizens are entitled to insurance coverage through private insurance, Medicare, or Medicaid. Diabetics covered in the private insurance market generally belong to employer-sponsored group health plans. These plans tend to offer higher protection. For those who are not enrolled in the employer-sponsored group health plans, they have to apply for individual insurance policy through the state Obamacare health portal as well as the Federal Medicare program. In general, Medicare Part B (Medical Insurance) covers the services that may affect people who have diabetes and covers some preventive services for people who are at risk for diabetes. In addition, Medicare Part D (Medicare prescription drug coverage) covers diabetes supplies used for injecting or inhaling insulin. And for people who qualify for the low-earning income status, they can enroll in the Medicaid program and entitled to much smaller out-of-pocket payments. There is also the Children’s Health Insurance Program (CHIP) specifically catered to children. Under Federal law, no insurance policy can turn down your enrollment or deny your medical claims due to pre-existing conditions. Should your insurance company deny your coverage due to your pre-existing conditions, you can report the incident to the U.S. Department of Health & Human Services at 1-877-696-6775. Please note that although Medicare Plan B covers the cost of all diabetic patients, the number of covered supplies varies depending on whether you use insulin. If you use insulin, you may be able to get up to 300 test strips and 300 lancets every 3 months, and 1 lancet device every 6 months. If you don’t use insulin, you may be able to get 100 test strips and 100 lancets every 3 months, and 1 lancet device every 6 months. 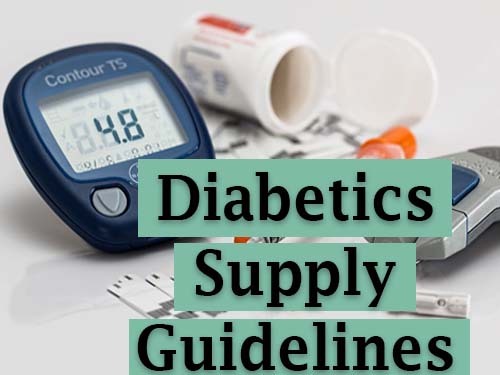 However, if your doctor says it is medically necessary that you have more frequent blood glucose testing, Medicare will allow you to get additional test strips and lancets as long as you have a written recommendation from your doctor stating the reasons for the extra supplies. What do you need to get these covered supplies? In order for Medicare to cover your blood sugar self-testing equipment and supplies, you must get a prescription from your doctor stating whether you have diabetes, what kind of blood sugar monitor you need and why you need it. If you have vision problems and require and special monitor, your doctor must clearly explain the reasons. In the prescription, your doctor must also state whether you use insulin, how often you need to test your blood sugar, and how many test strips and lancets you will need for each month. With your doctor’s prescription, your insurance company should cover your monitor, supplies for blood glucose test, your insulin, and your pen needles / syringes. The insurance may also cover an insulin pump and supplies if your doctor prescribe them as your treatment necessities. In order to receive the lowest co-payment, you should call the insurance customer service to ask if there is a sale on particular brand of meter or insulin device. The location and state from where you get your treatment, equipment, and supplies. Please remember that even if your doctor or other health care provider recommend certain treatments, equipment, or supplies, they may not be entirely covered by your insurance policy and by Medicare. Other times, they may not be covered at all. If this happens and you go ahead with the treatment or ordering of the equipment and supplies, you may have to pay some or all of the costs. To avoid any surprise medical bills, you must ask questions about your doctor’s recommendation, consider whether the treatment is necessary for your needs, and learn whether Medicare will pay for them. Please note that under Federal Law, Medicare will not pay for any supplies and equipment that you did not request. If for any reason a supply company automatically send you any equipment or supplies without having your consent and demands some sort of payment, report this fraudulent activity to Medicare as soon as possible. You can contact Medicare by calling 1-800-MEDICARE. Also, please note that you MUST get supplies from a pharmacy or supplier that is enrolled in Medicare. Should you opt for a pharmacy or supplier that is not enrolled in Medicare, Medicare will not cover the payment at all. Even if the supplies may cost less, if it is not covered by Medicare, you will be responsible for the entire bill. As of January 2011, Medicare of United States has started a new Competitive Bidding Program for medical equipment, prosthetics, orthotics, and supplies in various areas of the county. This program allows suppliers to submit bids to provide certain medical equipment and supplies, and the Medicare program uses these bids to set the amount it will pay for those equipment and supplies under the Competitive Bidding Program. This way, there will be no jeopardizing of the supplier market and the competition will keep the fee at a lower cost. However, because the bidding process is different for each state, it is best to refer to your state’s Medicare website to access the approved suppliers list. The table provided below contains a list of supply brands that are widely accepted and covered in many states. What Happens If I Cannot Afford? If there are certain medications, equipment, and supplies you need but are not covered by Medicare or your insurance plan, there are a few other options. To attract more customers, many pharmaceutical companies will offer financial assistance programs to patients who have trouble affording their medications and supplies. You can check on RxAssist.com and NeedyMeds.org for the database of pharmaceutical and healthcare assistance programs. If certain medical expense is not covered by your insurance plan, you can always deduct the cost partly by taking a tax deduction for medical expenses. The medical expense including all costs that relate to any of your health problems including diabetes. The allowed deduction is when the total exceeds 10% of your Adjusted Gross Income. However, if you are age 65 and older, you are allowed to deduct unreimbursed medical care expenses that exceed 7.5% of your adjusted gross income. There is a wide range of expenses you can include in your medical deduction including your payments for hospital stays, doctor visits, prescription medication, weight-loss programs, and most treatments your doctor recommends. If you are on an approved weight-loss program, your special food required can also be counted as a deductible. You can even include the expense for each mile you drive to and from the doctor or your pharmacy. Please note that medical expense deductions are only available if you itemize. So if you want to claim your diabetes expenses, you must report each expense on the Schedule A attachment of your Form 1040. 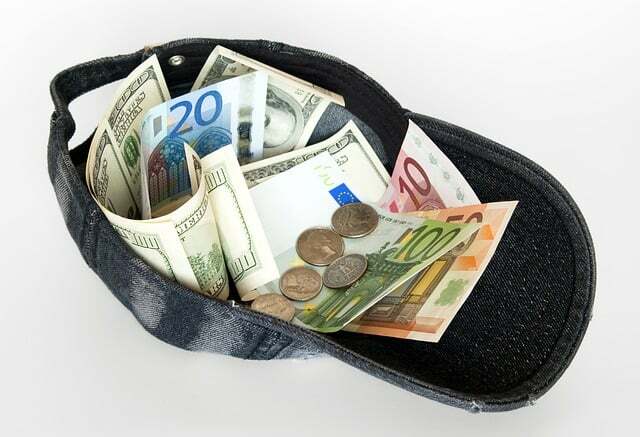 If you cannot afford your diabetic medical expenses, there are many federal and state assistance program that may help you in getting what you need. If your doctor and supplier do not know of any assistance programs, you can always resort to the state health hotline for assistance. Here at TheDiabetesCouncil.com we offer diabetes supply to 10 people every year and you can learn more about our program by clicking here. Being diagnosed with diabetes can be an overwhelming experience where you do not know where to start with the treatment plans. The first step of organizing your treatment plan is to understand the coverage of your current insurance plan. Once you know what to expect, you can make better decisions about your medication, equipment, and supply choices without having to worry about the accumulating medical cost. If you have any questions and concerns, don’t hesitate to ask your doctor to clarify the recommendation. And if you have any needs, do tell your doctor. It is only by recommendation can you get your supplies covered by your insurance plan. Remember, they cannot offer the help if you do not ask for help. At the same time, do not be afraid to look for different options when it comes to professional opinion and supply brands. There are always local community and diabetes awareness conferences that may update you on various assistance programs and the current trend of equipment and supply upgrades. The best thing you can do for yourself is to be better educated. Where can I buy diabetes supplies? There are various sites you can start with Amazon. Will my insurance company pay for the medicines and supplies I need? Please refer to the insurance section of this article. What is the best way to store my diabetes supplies? Refer to the usage guide. Or ask your doctor. How can I get free diabetic supply? Refer to the insurance coverage section of this article and also check our diabetes supply and service program page. How much does diabetic supplies cost? It depends, however we recommend you check the following page where Christel has created an in-depth information in regards with pricing. Does aetna cover diabetic supplies? Refer to their page with more information. Can i take my diabetic supplies on a plane? Yes. Make sure to check the TSA website for more information. Are diabetes testing supplies covered by insurance? It depends yes and no refer to the insurance section of this article. Are diabetic testing supplies tax deductible? Yes. Refer to the tax part of this article. I am diabetic and I am looking for diabetic supplies but I don’t have insurance, what should I do? Refer to our section, what if I can’t afford. Are there diabetes supplies for the blind? Yes. 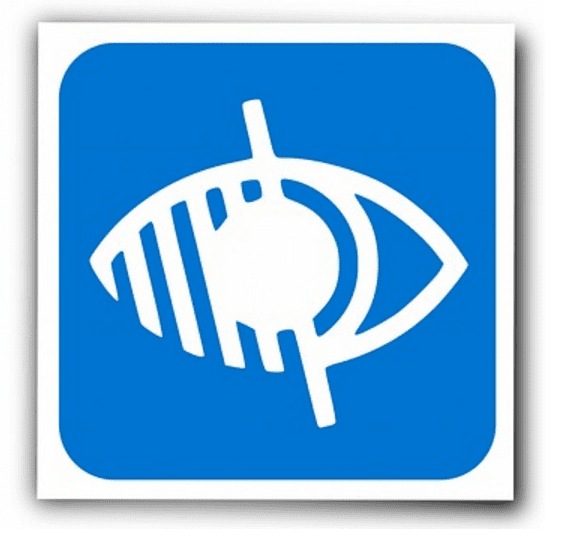 Refer to section about visually impaired supplies. What are some diabetic supply companies that accept medicaid or Medicare? Refer to the supplier information section. There is no information about diabetic travel supply why? We will be posting a comprehensive article on travel supply soon. What you should NEVER leave home without? To answer this question we turned to our community and here is what they had to share. Bridget: I don’t think there is ONE specific item we can never leave home without, but actually a few, the most important would have to be a blood sugar meter. Without it, we’d simply be guessing what level they were at based off their behavior or how they felt. I’ve often joked, when having to fight insurance or medical suppliers who refused to ship strips that since I had no way of testing their blood sugar, I guess I would have to prick their finger and taste their blood to see if it was sweet, because how else would I know if they were high? With that being said, no I am not a vampire, just a concerned parent attempting to express the seriousness of having children with type 1 diabetes and no access to testing strips. Kassie Joyce: I would NEVER leave home without my BG Meter. Cara Johnson-Schoonover: Can’t ever leave the house without having insulin on me. Lynn Newberg: I can’t leave the house without having my blood kit on me. How else would I check myself? Andrea Ward: My one go to item that I always must have with me is my fully loaded (with insulin) pump. Mary Powell Nesrsta: If I had to choose just one thing, I’d have to say a blood glucose meter. Manda Perren: I don’t ever leave home without insulin. Sherri Hurley: Glucose tablets are something I will never leave the house without. Mandie Laforet: My diabetes kit with everything included in it. Erin O’Dell: One thing I will never leave the house without is insulin. Margie Robinson: I’ve learned the hard way to always have a juice box or pieces of candy on me. It’s not fun trying to explain what you need in the middle of a grocery store during a hypo episode. Harold Dover: The most important thing to always have with me is my identification card that I am a type 1 diabetic. This can help save your life if you ever experience a low blood sugar while driving and get pulled over. Many people are not educated in type 1 diabetes or how to spot the difference from a low blood sugar and being under the influence of alcohol, because they can appear similar. When experiencing a low blood sugar as a type 1 it’s important to get something in you to help bring up your blood sugar quickly. If a police officer believes you are drunk instead, this can lead to extra time that you don’t necessarily have in getting treatment, which could potentially be life threatening or even fatal. Insulin seemed to be the most common response throughout the community. It is in fact, one of the most important things that someone with type 1 diabetes must always have in order to survive, so it’s no surprise to see that it was the most commonly listed item to keep with you at all times.